Born as Singanalluru Puttaswamayya Muthuraju in Gajanur, Tamil Nadu, Rajkumar was a popular Indian actor and singer in the Kannada Cinema. Rajkumar is considered as a cultural icon and is widely acclaimed as one of the best actors in the history of Indian Cinema. Rajkumar got introduced to the film industry after working for a long time with Gubbi Veeranna's Gubbi Drama Company as a dramatist. He got his first break in the film Bedara Kannappa in 1954 and thereafter he worked in over 206 films, super hit Shabdavedhi in 2000 being his last one. 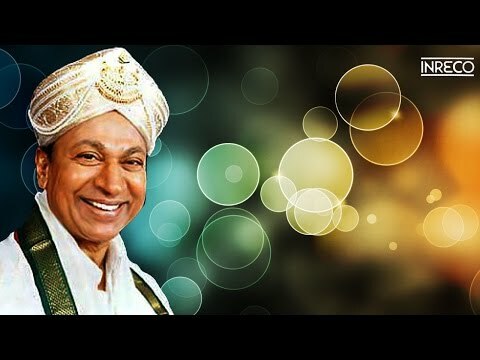 Well known for simple and highly disciplined lifestyle Rajkumar was also a Yoga and Carnatic music performer. Rajkumar and his his son-in-law Govindaraju was kidnapped from his house at Gajanur by Veerappan (forest brigand) on 30th July 2000 and was released unharmed after 108 days in captivity on 15th November 2000. Rajkumar breathed his last on 12 April 2006 at his residence in Bangalore. Rajkumar was the recipient of 11 Karnataka State Film Awards, 10 South Filmfare Awards, 2 National Film Awards and one National Film Award for Best Playback Singer. He received the NTR National Award in 2002. He was honored with Padma Bhushan and the Dadasaheb Phalke Award for the lifetime contribution to Indian Cinema in 1995. He also awarded doctorate from the University of Mysore. Rajkumar was born to theatre-artist Singanalluru Puttaswamayya and Lakshmamma on 24th April 1929 at Gajanur, Talavadi block, Madras Presidency (now in Tamil Nadu). Rajkumar at the age of 8 dropped out of school and played several minor roles in films. At the age of 25, he got his first break in a lead role in the movie Bedara Kannappa. Rajkumar got hitched to Parvathamma in the year 1953 and the couple was blessed with five children. His sons Shivrajkumar and Puneet Rajkumar are Kannada film actors and his other son Raghavendra Rajkumar is an actor-turned-producer. His grandson Vinay Rajkumar is also an actor. Rajkumar started his career in acting as a theatre artist in a troupe led by Gubbi Veeranna along with his father. In the year 1953, he was signed by director H. L. N. Simha for his movie Bedara Kannappa. Throughout his life, Rajkumar acted only in Kannada movies except one which was Sri Kalahastiswara Mahatyam that released in Telugu. He acted in more than 206 movies in his lifetime and also owned the production house Vajreshwari Production which now makes films under the banner Dakshayani Combines. His last movie was Shabdavedhi in the year 2006. He played all kinds of roles from lover to action hero, double and tripple role as well as mythological character in a career spanning over 50 years. Along with his contemporaries Kalyan Kumar and Udaya Kumar, Rajkumar were "Kumara Thrayaru" of the Kannada cinema. He produced and acted in movies like Shankar Guru, Kaviratna Kalidasa and Ranadheera Kanteerava. He acted with many popular south Indian filmstars like Jayanti in over 36 films, Pandaribai in 18 films, Leelavathi in 28 films, Bharati in 28 films and Kalpana in 19 films. Popular bollywood actress Rekha debuted opposite Rajkumar in the movie Operation Jackpotnalli CID 999. Rajkumar funded many south Indian directors including B.R. Pantulu, Puttanna Kanagal, Shankar Nag and T. S. Nagabharana. He acted in various detective movies like Jedara Bale in 1968, Operation Jackpotnalli CID 999, Operation Diamond Racket and Goadalli CID 999. He had also done playback singing in several Kannada movies and received the National Film Award. This was for the category of Best Male Playback Singer of "Naadamaya” in 1992 from the movie Jeevana Chaitra. He learned classical music during his work with the Gubbi Veeranna's drama troupe. After his song "Yare Koogadali" from the movie Sampathige Sawal in 1974 was a big hit, he began to sing in most of his films and in many private devotional albums. He sang various songs ranging from classical to disco and from fast numbers to pathos. Some of his famous songs on Kannada language and culture are "Maanavanagi Huttidmele" from Jeevana chaitra, “Jenina Holeyo" from Chalisuva Modagalu and "Huttidare Kannada" from the film Aakasmika. He also sang an English song in the movie Operation Diamond Racket called "If You Come Today" in 1978. He also sang ghazals which include "Kanneera Dhaare", "Yaava Kaviyu" and "Sadaa Kannale". Rajkumar in his final years lent his voice to other actors and also sang devotional songs on Sri Raghavendra Swami and Hanumantha. Rajkumar died of a cardiac arrest on 12 April 2006 at his home in Sadashivanagar. His eyes were donated to two people the next day as per his wishes. The government of Karnataka announced to make a Rupees 100 million memorial in Rajkumar’s memory. After the demise of Rajkumar, his fans have unveiled more than 50 statues of him spread across Bangalore city as a tribute. The news of his death sparked statewide violence and an unofficial bandh was declared by the government. Around two million people followed funeral procession. The fans stopped the procession and later after much pleading by Rajkumar's sons, allowed to proceed to perform his last rites. As a result of the violence, Parvathamma Rajkumar, his wife could not attend the funeral of her husband. Rajkumar received several state and National awards. He was also honored with a Padma Bhushan Award Karnataka Ratna, the highest civilian honour of the State of Karnataka, recognizing him as a "Jewel of Karnataka" and Dadasaheb Phalke Award in 1995 for his outstanding contribution to the Kannada film industry. The biography written by A. N. Prahlada Rao called Bangarada Manushya, the chronicle of Rajkumar, was first released in 2005. Rajkumar won the President Medal for Best Actor, Santha Tukarama in 1963. He won the Best Male Playback Singer for the song "Naadamaya Ee Lokavella" from the movie Jeevana Chaitra in 1992. Rajakumar was honored with Dadasaheb Phalke Award in 1995. He also received the NTR National Award in 2002. Rajkumar has won ten times in the Best Actor category of South Filmfare Awards, and this record was later leveled by actor Mammootty and Kamal Haasan. -Lifetime Achievement Award in 1993. -Rajkumar received 9 best actor awards, 2 for best singer and a lifetime achievement award. -Thayi Illada Thavaru - Arishina kunkuma in 1994-95. He received the Honorary Doctorate from the Mysore University in the year 1976. The honorable central government of India issued postal stamp and gold coins having the actor's face in 2009. More than 1100 statues of the Rajkumar are present all over the state of Karnataka. Recently a statue with a total cost of above 10 million rupees has been inaugurated in Kurubarahalli in Bangalore. Rajkumar also received the Nadoja Award (an honorary doctorate) from Hampi University in 1999. The Government of India honored him with the Padma Bhushan Award in 1983. He also received the ETV Kannadiga of the Year Award in the year 2003. The Government of Karnataka honored him with the Karnataka Ratna Award in 1992 and "Nata Saarvabhowma" (The Emperor of Acting) in the year 1967. The governor of Kentucky, U.S also honored him with the Kentucky colonel title (Honorable Order of Kentucky Colonels) in the year 1985. A 6-kilometre road that stretches from Government Soap Factory in Yeshwanthpur to Prasanna Theater, Magadi Road has been named "Dr. Rajkumar Road" after Rajkumar in Bangalore. The Government of Karnataka in July 2005, honored Rajkumar for his 50 years of service to Kannada Cinema at the Bangalore Palace in a ceremony called Sarthaka Suvarna. The entire Kannada film industry attended the felicitation ceremony as a mark of respect and tribute to the legendary actor.